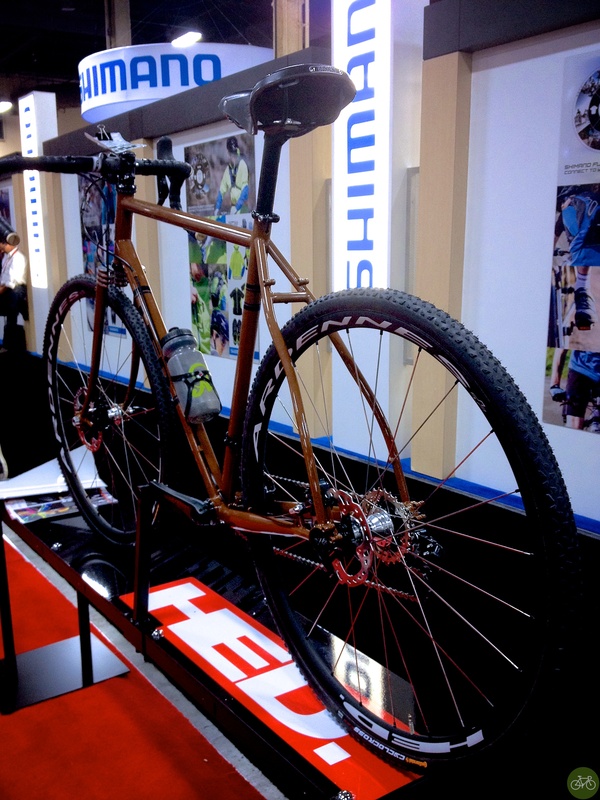 More photos of what we thought was the most interesting and best of show at Interbike, Steve Hed’s adventure bike. Steve talks to us about the bike built by Peacock Groove in a video podcast published yesterday. Subscribe to the Huggacast feed or watch the video on YouTube. More photos of the bike are in a G+ gallery and note the Ultregra Di2 Hydro with a 650b/700c option.